The federal government is responsible for managing wildfires that begin on federal lands—such as national forests or national parks—while the states are responsible for managing wildfires that originate on all other lands. The federal government’s wildfire management responsibilities—provided primarily through the Forest Service (FS) and Department of the Interior (DOI) — include prevention, detection, response, and recovery. The Federal Emergency Management Agency (FEMA) may also provide disaster relief for certain nonfederal wildfires. Congress appropriates wildfire management funding to both FS and DOI. Within their overall appropriations for wildfire, suppression operations are appropriated through two accounts for each agency: the Wildland Fire Management (WFM) accounts and the Federal Land Assistance, Management, and Enhancement Act (FLAME) reserve accounts. If the suppression funding in both of these accounts is exhausted during any given fiscal year, FS and DOI are authorized to transfer funds from their other accounts to pay for suppression activities. Congress also may provide additional funds for suppression activities through emergency or supplemental appropriations. Thus, for any given year, total suppression appropriations to FS or DOI may be a combination of three sources: the WFM suppression activity, the FLAME account, and supplemental appropriations, and the agencies also may access additional funding as needed through transfers. 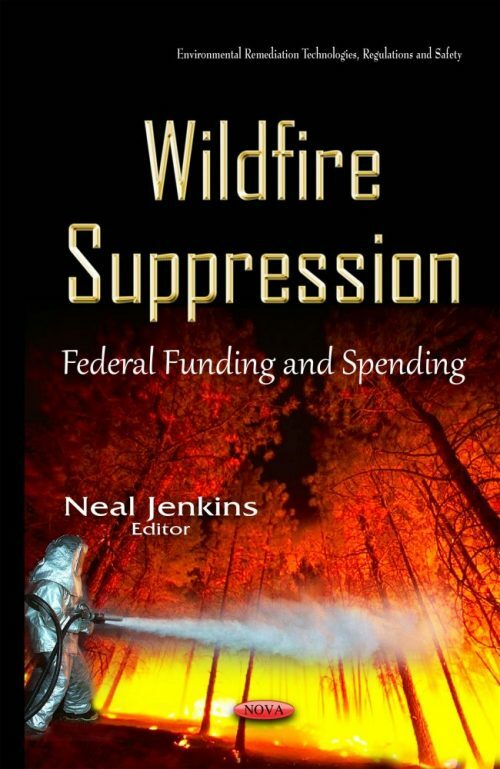 This book provides background information and analysis of funding for federal wildfire suppression operations; summarizes relevant legislative proposals introduced in the 114th Congress; discusses their possible implications; provides wildfire management appropriations data for FY2011-FY2015 and information on the President’s FY2016 budget request for wildland fire management; provides general wildfire management statistics; and answers frequently asked questions about FMAGs.